Not Your Average Hair Dye! If you are daring enough, coloring your hair can be anything but boring these days. There are just so many new and bold hues out there. In looking at this exciting trend in hair color, expert colorist Guy Tang deserves a special mention. His rainbow and metallic hair color creations are a hit on YouTube. 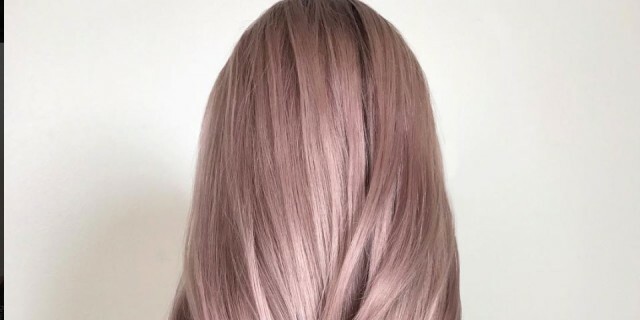 And, in the past year, he has also spread his hair color genius to salons everywhere via his own line of permanent and semi-permanent metallic hair dyes for the Kenra Professionals brand. Just amazing. Are YOU ready to try a metallic color? If so, Tang advises that you discuss the process with your colorist—your hair must be pre-lightened and color may not be achievable in just one salon visit. For more on how to safely color your hair to achieve a metallic look, check out the full story from Allure.